KISS Super League: Full Throttle Racing. Full Gas Gaming. Start your engines. It’s time to launch the KISS Super League - the first dedicated esports league to feature professional cycling teams. All the action is held exclusively on Zwift. What’s in store this season: 10 weeks of racing with some of the top racers going head to head each week. Follow the action live as they PowerUp to the podium. 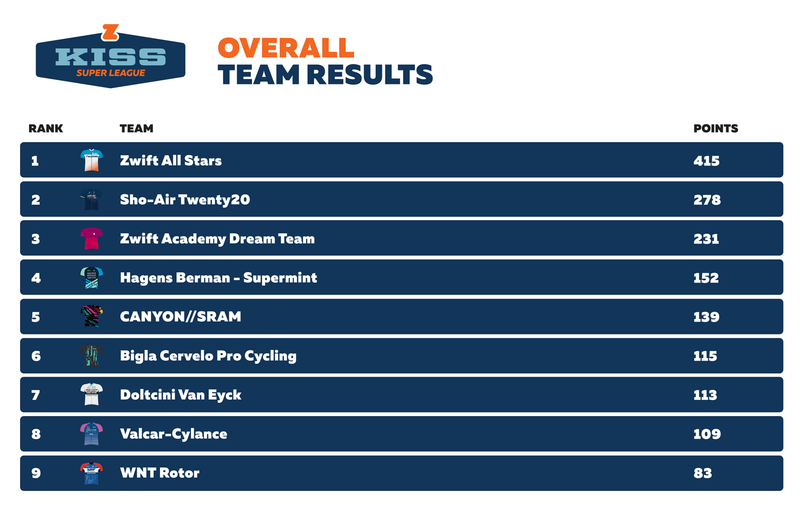 Who’s who in the Super League: Four Pro Continental, 10 UCI Continental teams and two teams from the Zwift community make up the 16 teams in the Men’s KISS Super League. 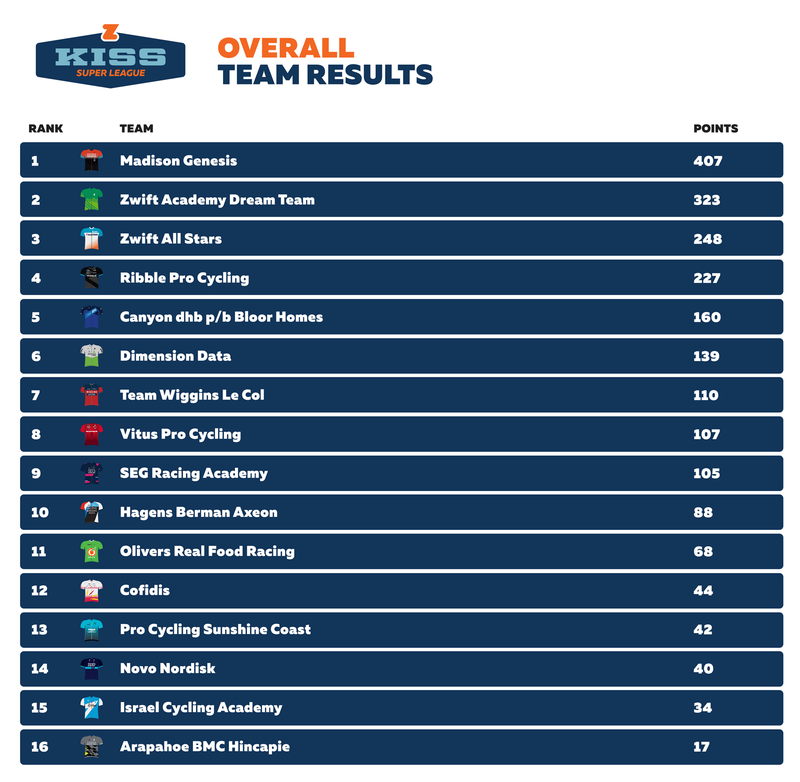 The Women’s KISS Super League includes seven pro women’s teams and two Zwift community teams. Tune in weekly for livestreams of the men’s and women’s races as teams battle it out for all the glory. Men’s: Every Wednesday at 12 pm PST. From Jan 23rd to Mar 27th. Women’s: Every Tuesday at 12 pm PST. From Feb 19th to Apr 9th. The rules are designed to be simple. The way they ought to be.